Tucson Greyhound Park is the last dog racing track in the state of Arizona, and it’s bringing an end to the Greyhound races for good. The closure comes ahead of a new bill that will be signed by Governor Doug Ducey that will ban live racing within the state. The bill won’t become a law until the end of the year, but the track is winding down early ahead of this measure. The end of Greyhound races at the track means that many of the kennels that raced Greyhounds there are closing shop, and they’ll have plenty of dogs looking for places to live. In total, there are between 300 and 400 dogs that are going up for adoption. And they’re going to need plenty of forever homes to show them just how great being a regular dog can be. Despite their use as racing dogs, Greyhounds are typically easygoing. They like to sleep a lot and only require a good sprint once in a while to burn off the energy. Greyhounds who come from a racing background usually take a bit of time to open up in a home because a kennel is all they’ve ever known. But they fall in love with home life. If you can take in one of these pups and give them the retirement they deserve, please contact one of these rescue organizations in Arizona. 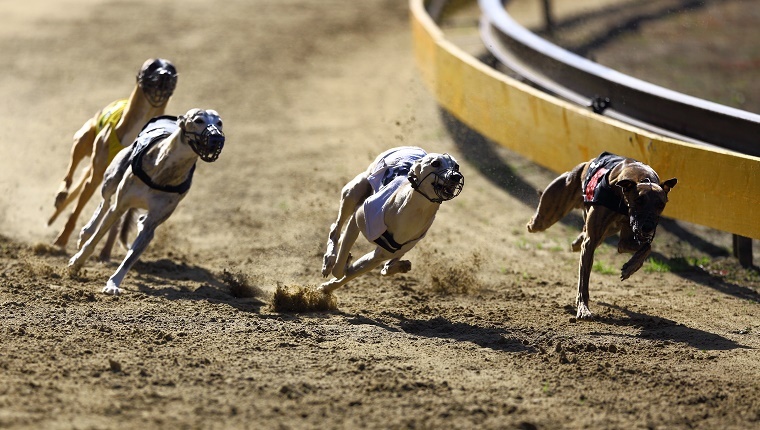 Are you glad to see an end to dog racing in the state? Would you take in one of these dogs? Let us know in the comments below!